This is a test of a concept to let publishers derive a positive ROI from PSAs whereas currently they get only a good PR benefit from PSA inventory. This new functionality is powered by Sweeps4aCause.com a We-Care.com platform (We-Care has generated many millions for nonprofits using cause marketing alone). 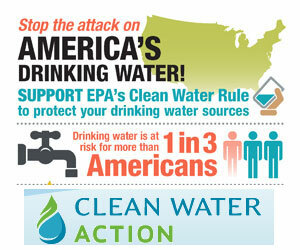 PSAs I whipped up for CleanWaterAction.org Forgive the Photoshop skills (or lack thereof, wasn’t worth deploying a designer for a demo). On the landing page the visitor to the page is invited to join the newsletter with the added incentive of helping the cause win $10K and winning $10K for themselves. Whatever else we can build for the publisher. Help me think this through.